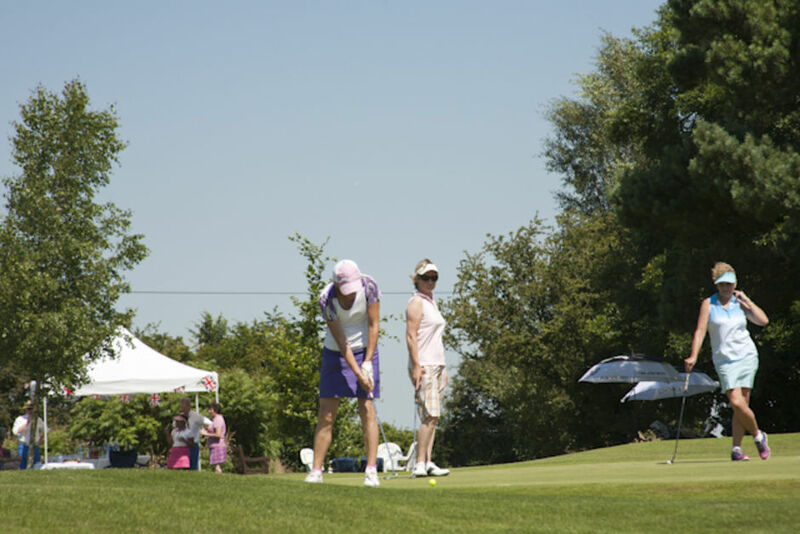 Kingsdown has an active & vibrant ladies section which is very friendly & welcoming, whatever your standard of golf. Come and join us for a round of golf and loads of fun. Our current Ladies Captain is Leigh Page (until 29 January 2019 when a new Ladies Captain will be elected) so if you're thinking of joining, please contact Leigh and she will set up a game for you with another lady member of a similar standard. Tuesday is Ladies Day and they are very popular with all our lady members. It's open to a wide range of handicaps. You can play 9 or 18 holes. Ladies sign up online for a 3-ball tee time between 9.00 - 11.32 off the 1st Tee. There are numerous other competitions throughout the year: cups; trophies; medals & stablefords, all of which have an alternative day of Saturday or Sunday to allow for working ladies to join in. We also have a number of Mixed events throughout the year. We have a number of Ladies friendly matches during the year, and Mixed friendly matches too – these are played against other clubs in Wiltshire & players of all abilities are encouraged to join in. We also play against our Seniors twice a year.